So, I’m driving to meet a coaching client who’s spending the day with me in St. Louis. We’ll have fun mapping out systems and marketing plans for his business today. 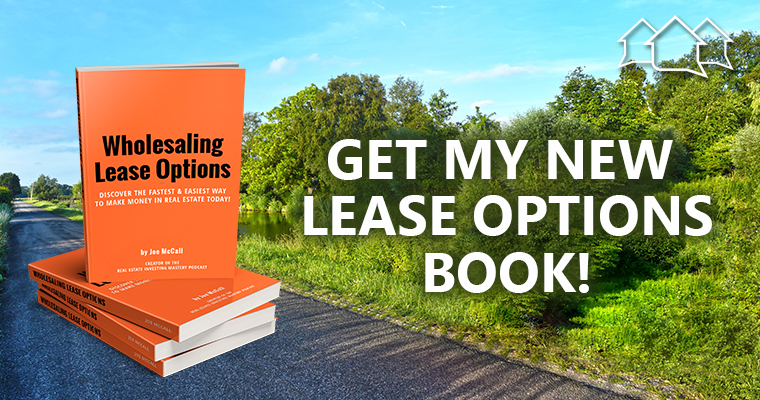 But, drum roll, please… I’ve just released my book, Wholesaling Lease Options: Discover the Fastest and Easiest Way to Make Money in Real Estate. I am so excited to be finished after months of working on it! When I began wholesaling lease options, the real estate business fell into place for me. Wholesaling allows you to control properties without owning them. It is my absolute favorite real estate strategy; it’s what I do. You don’t have to buy houses outright, so you don’t have a lot of your own money involved. When wholesaling lease options, you sell the contract to a tenant buyer instead of selling to a cash buyer as in standard wholesaling. My book is FREE. You pay only shipping and handling. Buy it now, people! You’ll get loads of info plus the contracts you need for wholesaling lease options and FAQs from my coaching calls. The only way you can get the book is to order it from WLObook.com.